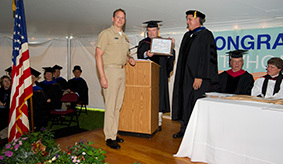 WHOI's Graduate Reception will be held on Wednesday, June 5, 2019 for degree recipients within the last academic year. Follow the thoughts and activities of Joint Programs students at home and in the field. GREs and language proficiency exams should be completed by early December.